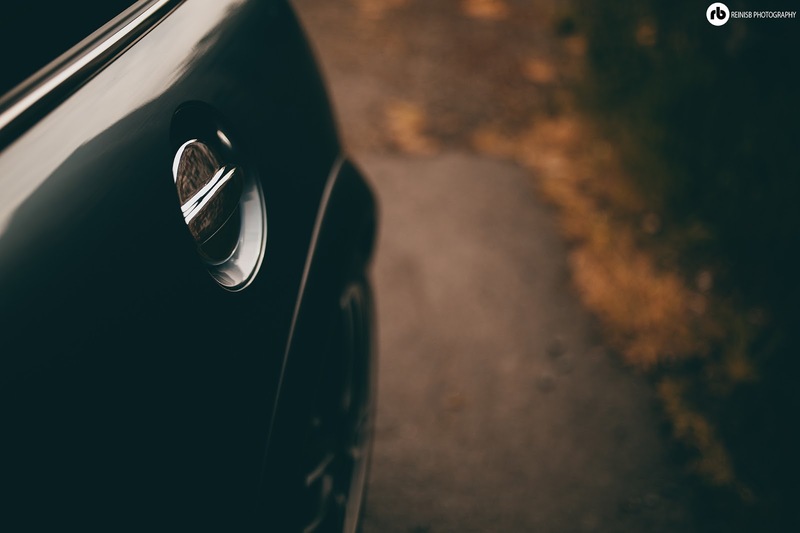 Some people buy cars for their reliability, some buy them based on their fuel consumption or how eco friendly they may be, some buy them based on their looks, but then there’re some people that buy them for nothing else but having fun with them. 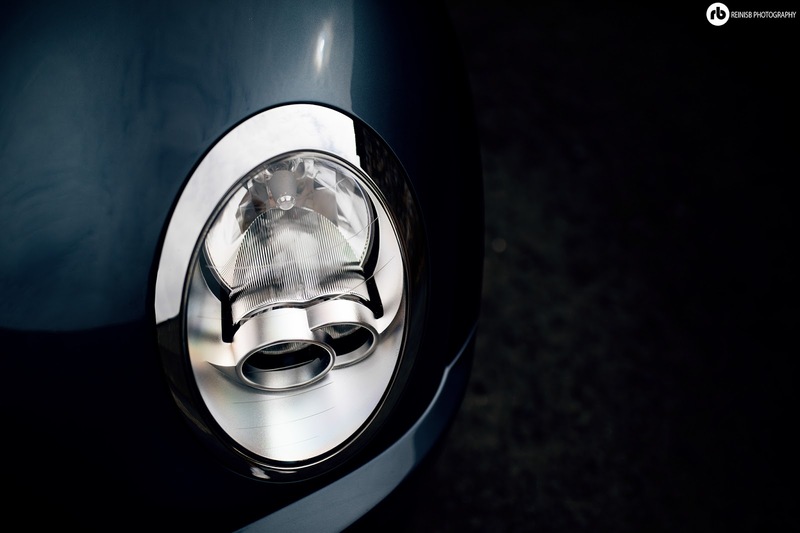 Luckily there are automotive manufacturers out there who understand this and offer the most ridiculous cars to us for this. 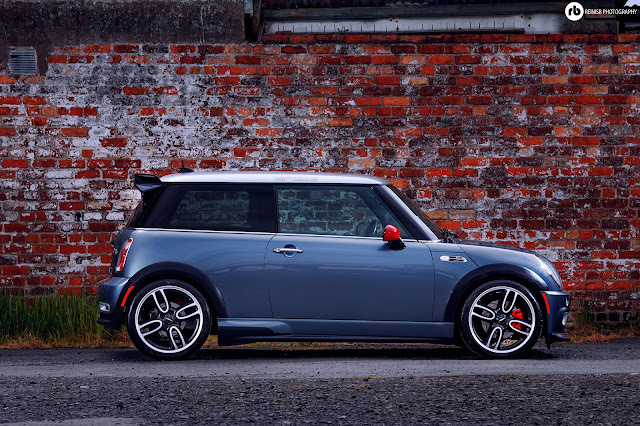 Mini, we salute you for sticking to your motorsport roots and heritage. 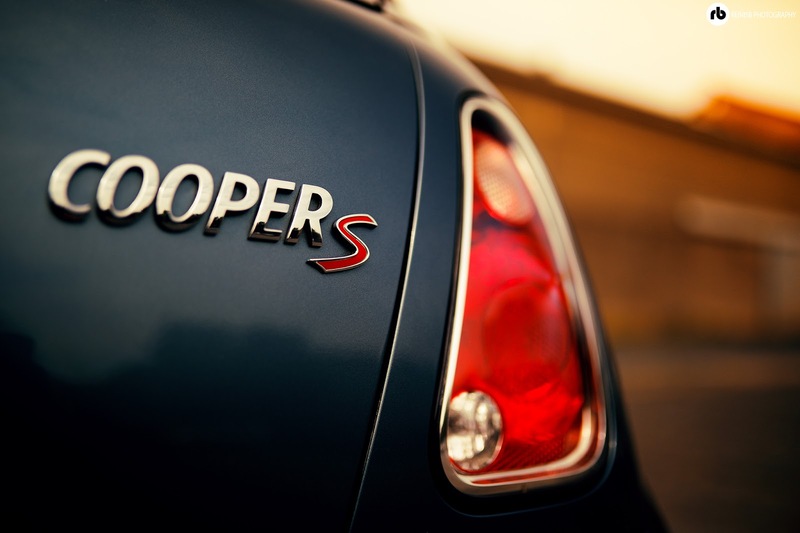 In 1940s a British father and son Charles and John Cooper established a company – “Cooper Car Company” and within few years became the UK’s leading manufacturer of professionally built motorsport cars. Who would have thought their names would soon go down in the history and leave a legacy for decades to come. Their sports cars dominated the rally and were driven in F1 by legends like Stirling Moss and Bruce McLaren. 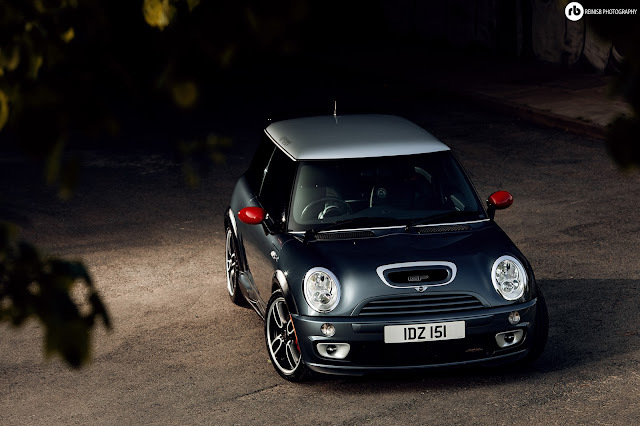 Ever since the the Mini was created the link between Mini and Cooper was unbreakable. 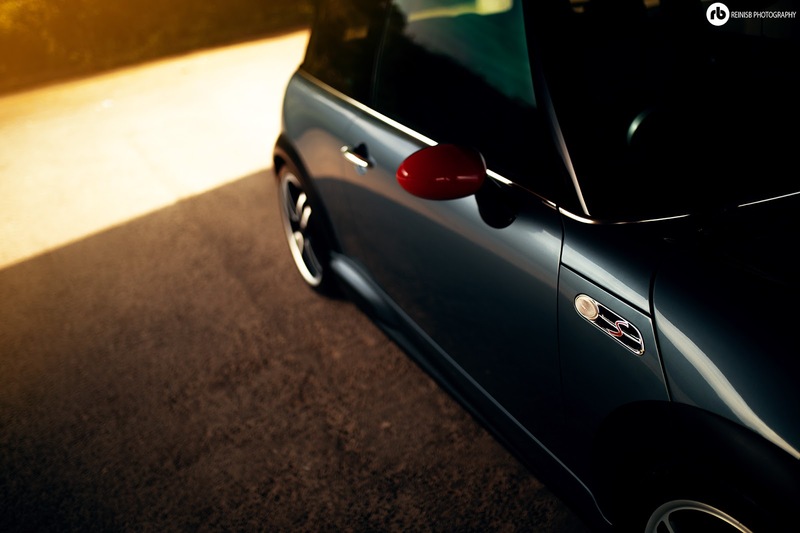 The Mini Cooper and Mini Cooper S were extremely popular both on public roads and motor sports. 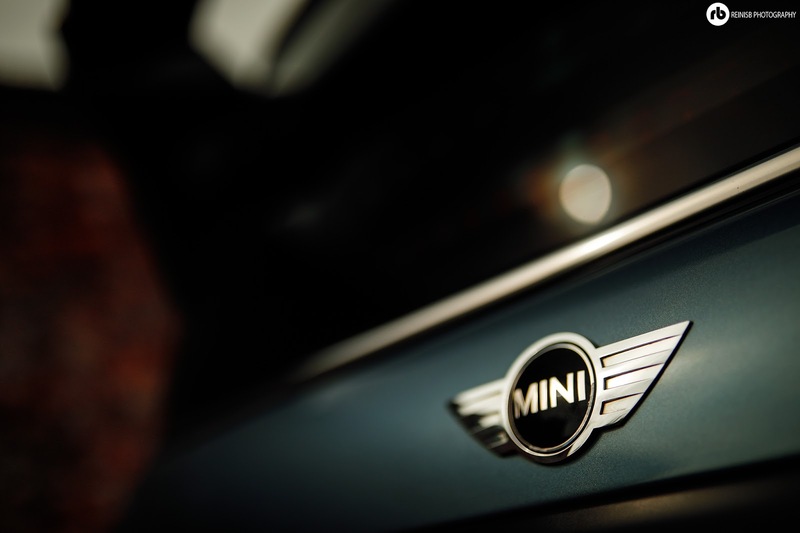 The 1960s were the years of Mini; however, Mini Cooper returned strong in the modern days and regained the popularity immediately. 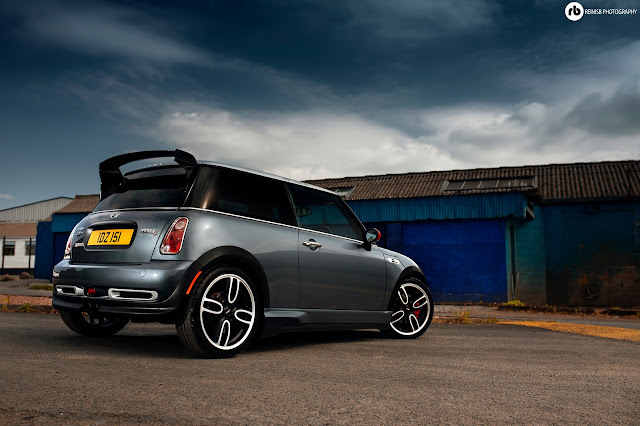 It the motorsport heritage that runs through the veins of Mini Cooper S JCW GP model and it was the most powerful, fastest and most agile Mini to ever see the daylight. There were only 2000 models ever built worldwide and they were an instant hit amongst the petrolheads. 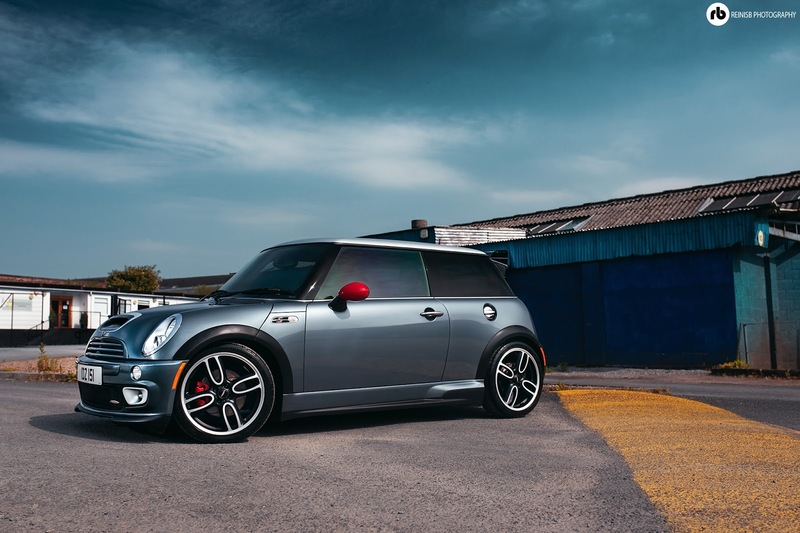 Just like the Mini Cooper S challenge car the Cooper S JCW GP street model focused its attention to three major aspects - performance, handling, and weight. 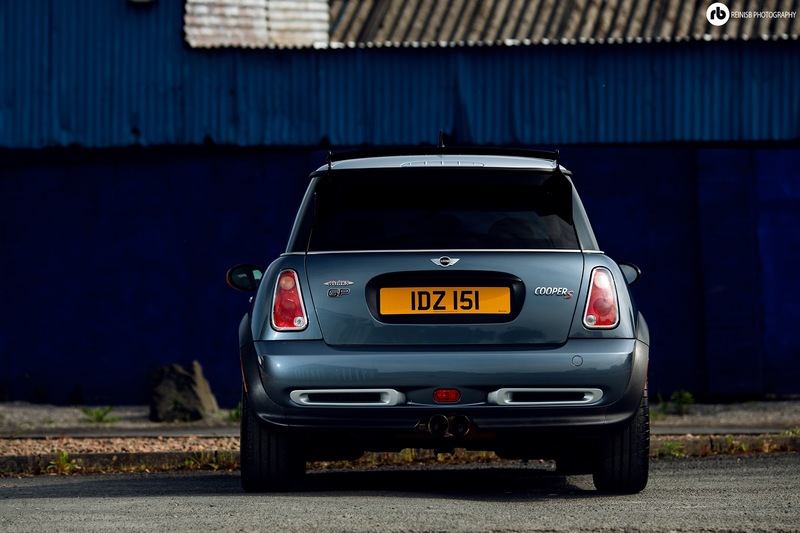 Let’s be honest – Mini Cooper S was never a heavy car to begin with; yet the GP model pushed the limits by losing further kerb weight – 50kg to be precise. 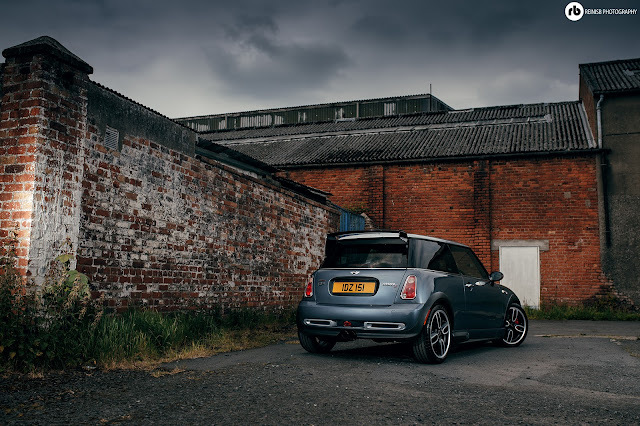 It may not sound like much but trust me, every kg matters when you’re pushing the car to the limits of gravity, just look at the difference the ballast makes at the Mini challenge racing series. The weight saving was achieved by disregarding rear seats, equipping the car with light weight alloy wheels, conservative use of sound insulating material, aluminium suspension, and getting rid of unnecessary parts like rear window wiper. 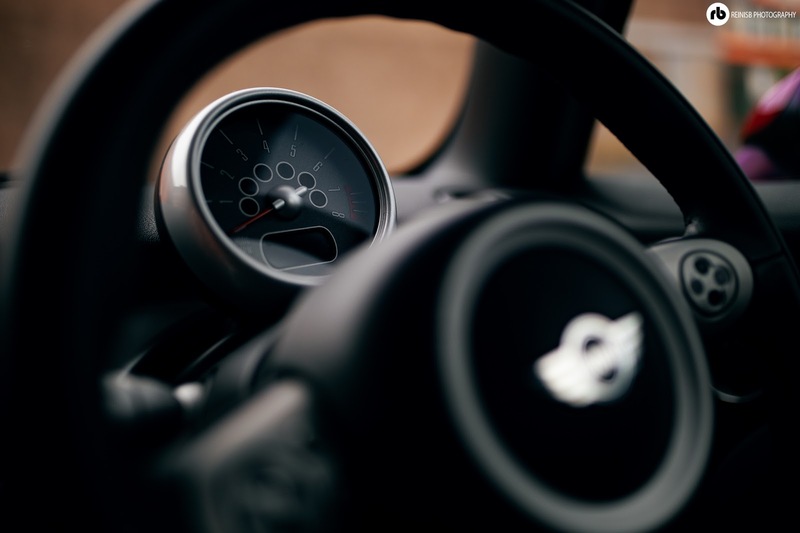 Multiple interior parts have been replaced with lightweight equivalents, even if that meant just a few gram differences. As Tesco moto goes :”Every little bit helps!”. 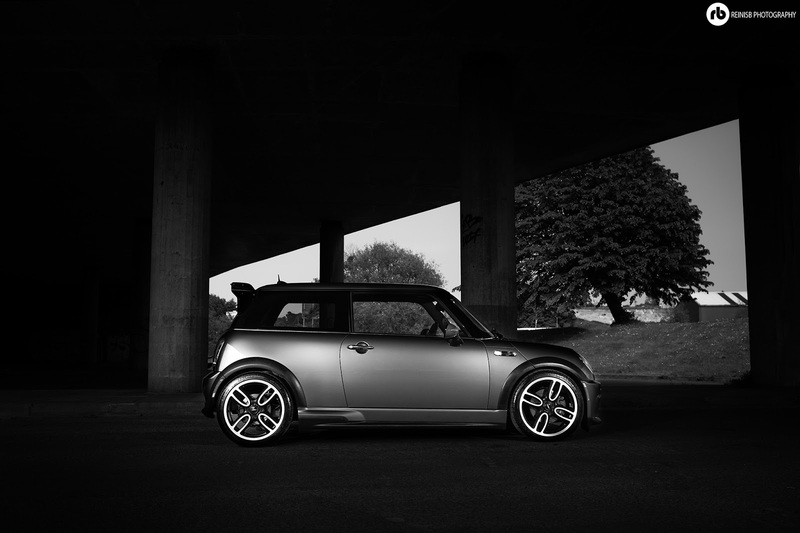 If you’ve ever driven a classic Mini you will clearly understand what a driving pleasure really is. 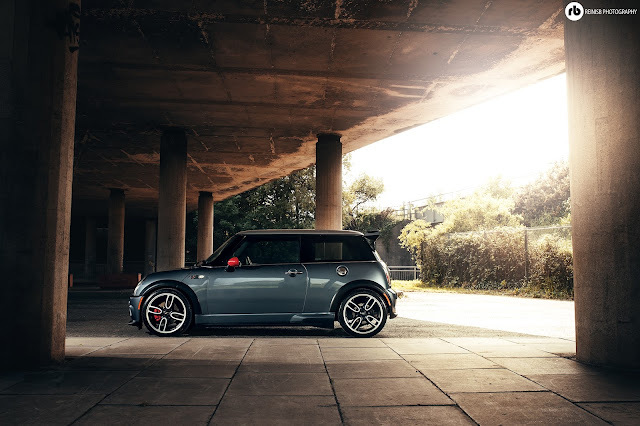 BMW transfered the classic Mini driving experienced into the newer models beautifully, retaining everything that Mini driving experience was all about - lightweight, responsive, nimble. 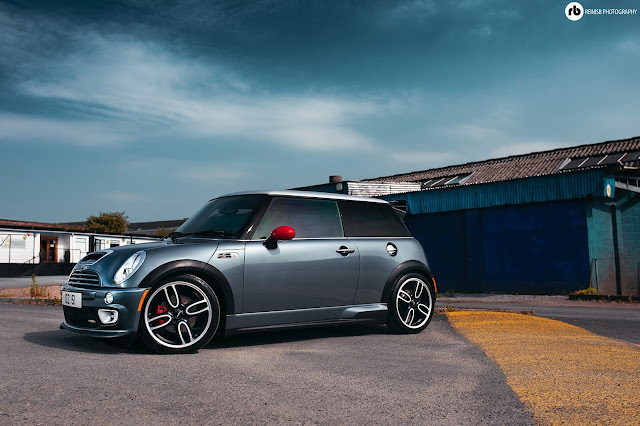 The Mini Cooper S JCW GP is a race car for streets, it handles amazing with literally no body roll and responds to the drivers input sharply and without any delay. 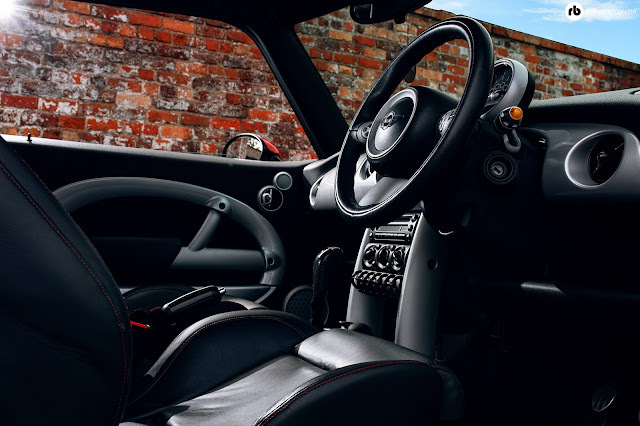 The big wheel set up helps translates the traction level to steering wheel perfectly, informing the driver on the driving grip levels. 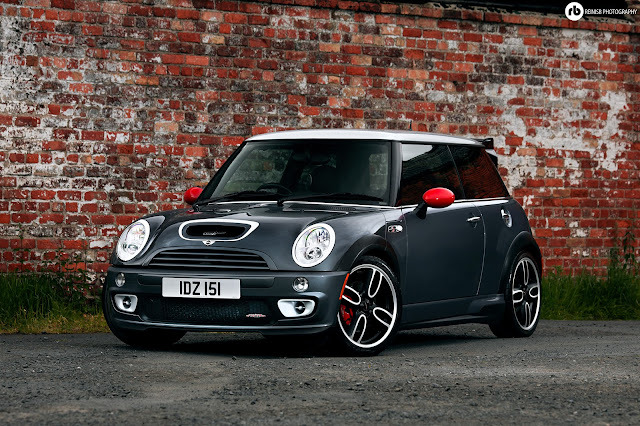 The Mini Cooper S JCW GP is not only the fastest Mini ever produced, it also is the best handling Mini ever made. 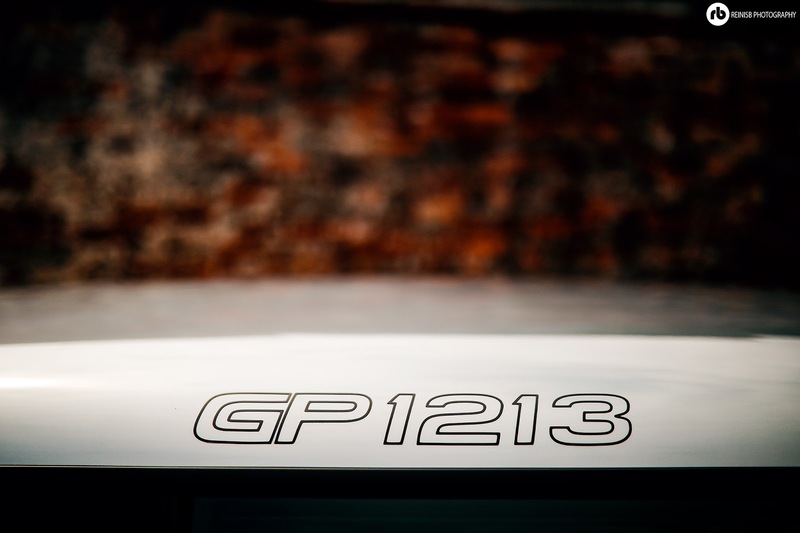 Typically a race car is based on the street model of a manufacturer’s model, but this time it was done vice versa. The Mini Cooper S JCW GP car was based on the Mini Challenge race car and benefited from all the aero package upgrades the race car had, including aggressive rear wing, front splitters and big light weight wheels. 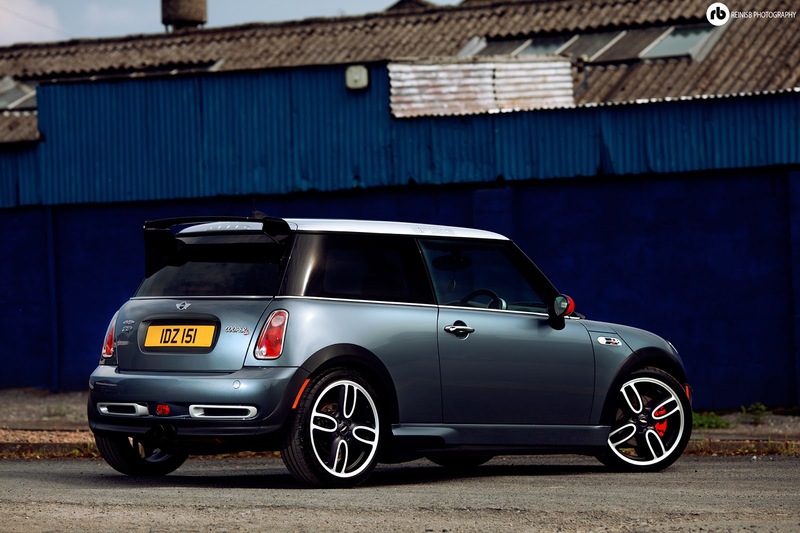 The Mini Cooper S JCW with the GP kit stands out immediately with the sporty looks and unique grey blue, silver, red and black paintwork. 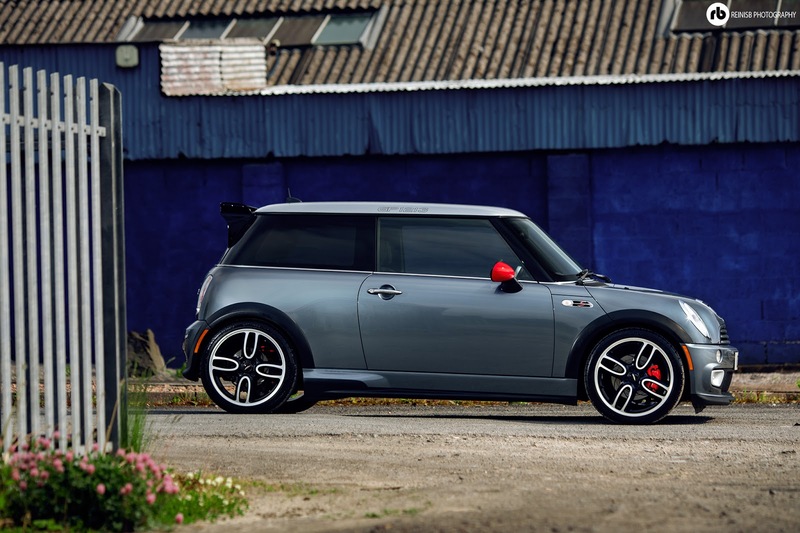 As expected from a true sports race car hatchback the aero package isn’t about the looks, rather function. Each part was added for extra performance following extensive wind tunnel tests by Mini/BMW engineers enhancing downforce at the front and rear optimising air resistance and improving Mini’s handling at higher speeds. 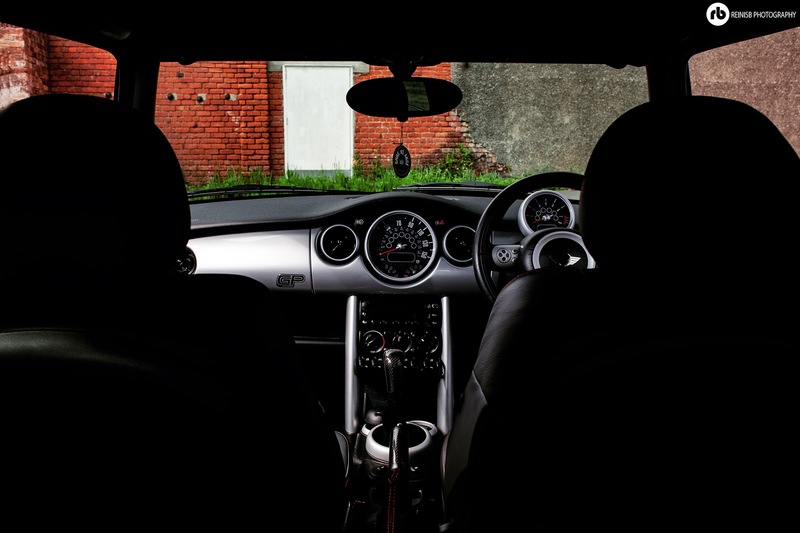 The race car DNA in the Mini Cooper S JCW GP continues within the interior: the motorsport ambience can be seen immediately with the lack of rear seats, a beautiful polished reinforcement strut brace connecting the rear spring strut domes on the rear axle can be seen in their place. 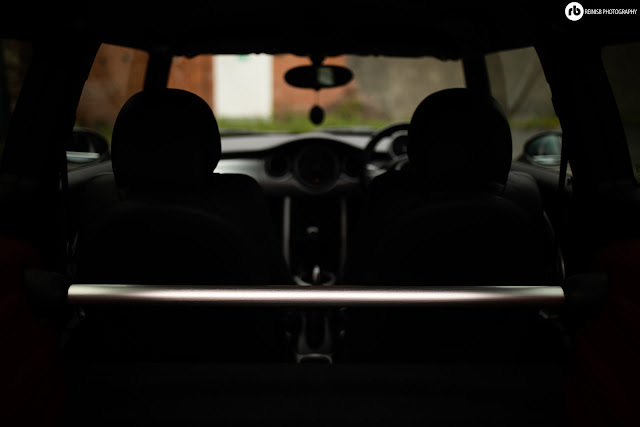 The driver and co-driver are seated in beautiful Recaro sport seats that provide perfect balance between support and comfort. 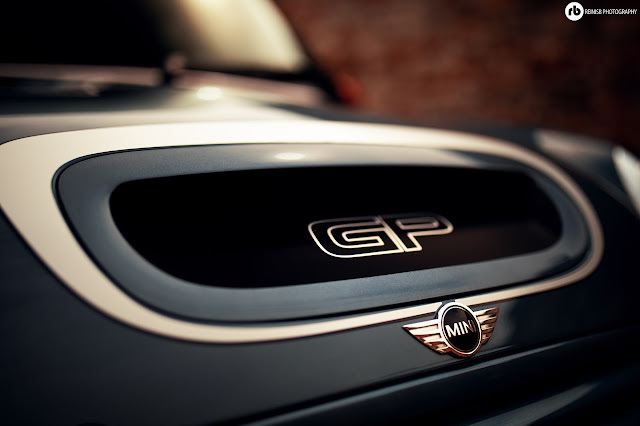 These seats are exclusive to the GP model and were never available as an extra in any other Mini model. 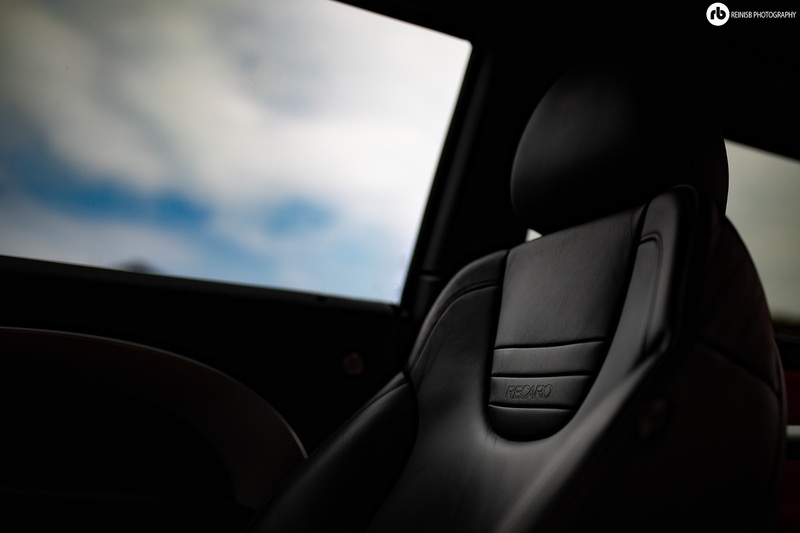 The exterior colours are featured everywhere within the interior – from seats to the centre console. The dashboard is finished in beautiful silver with the rev gauge proudle being placed in front of the driver. 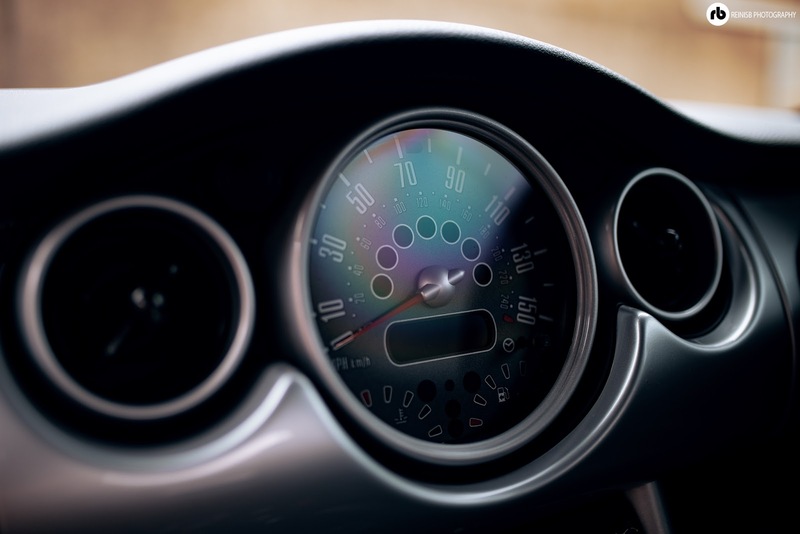 The dials in both instrument panels are finished in racing red. 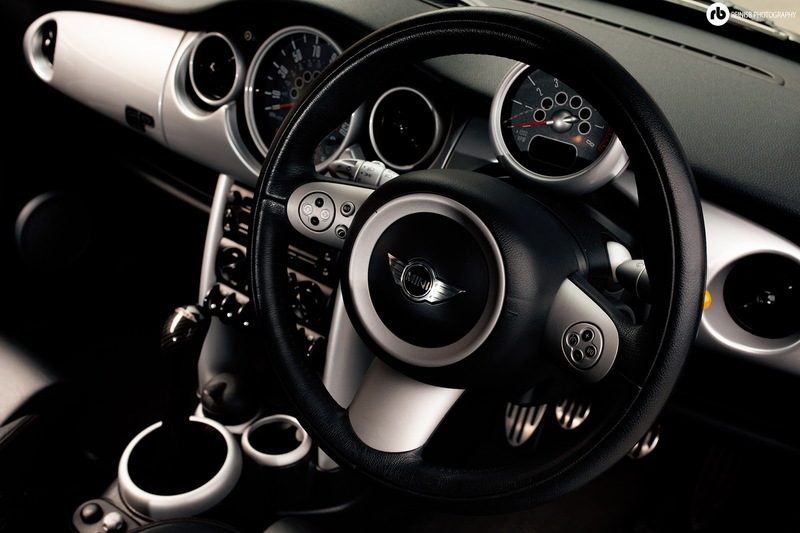 The three spoke leather steering wheel provides both superb grip and multifunction features, meaning your hands never need to leave it. 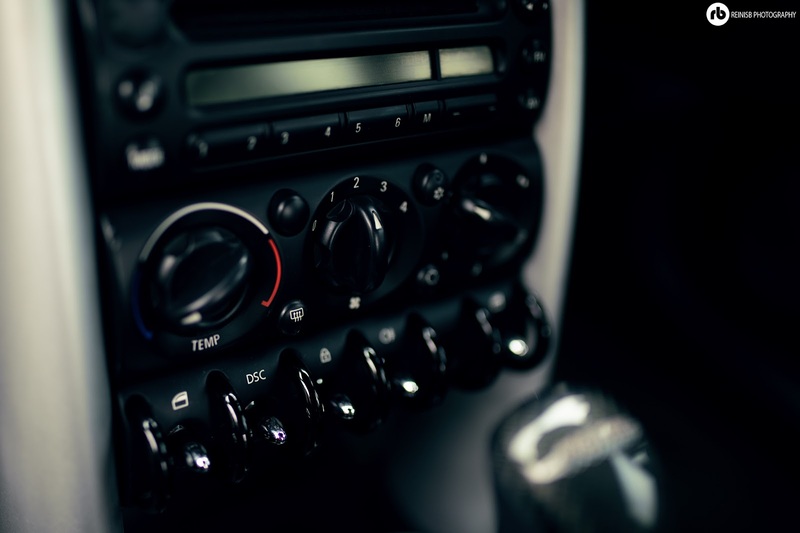 It is a very well designed interior with sporty looks, yet still offering all the extras like CD, heated seats, air con (free extra) and beautiful dashboard. 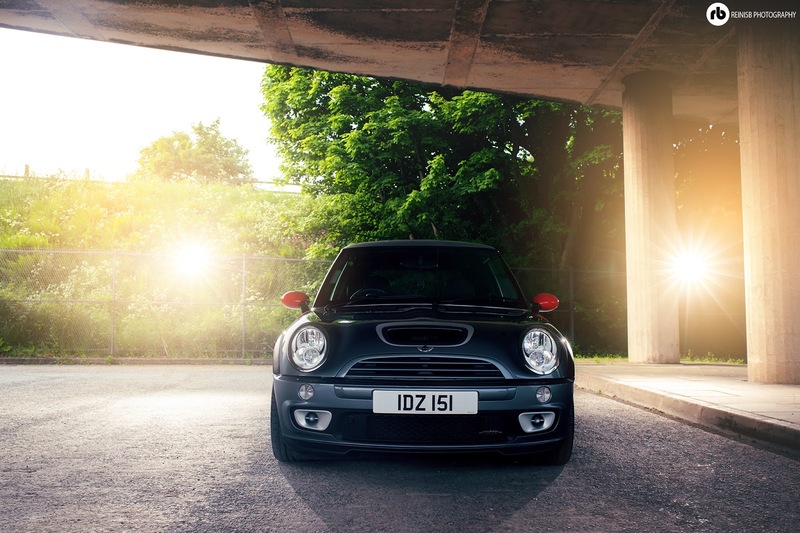 The Mini Cooper S JCW GP was the most powerful Mini ever built, outperforming an actual Mini Challenge racing car on all major counts. 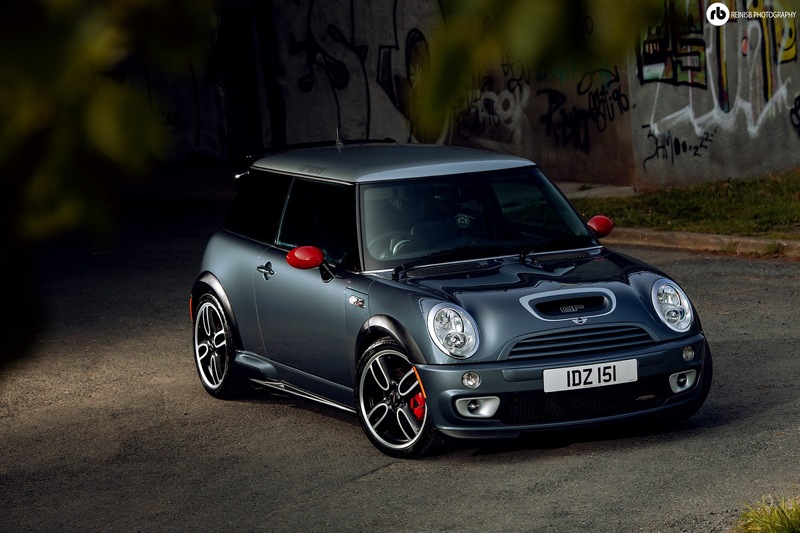 Whilst it was still powered by the same 1.6-litre compression engine that featured in Mini Cooper S, Mini Cooper JCW and the challenge car, its performance had been increased from 210 to 218hp. 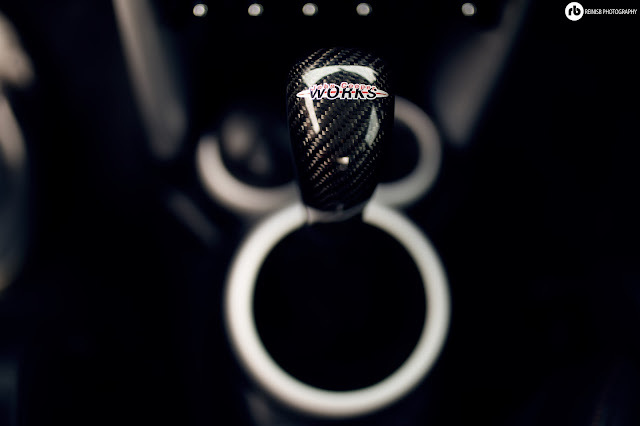 The 1.6 supercharged engine was coupled with a beautiful six speed manual gearbox and powered via the front wheels of course. 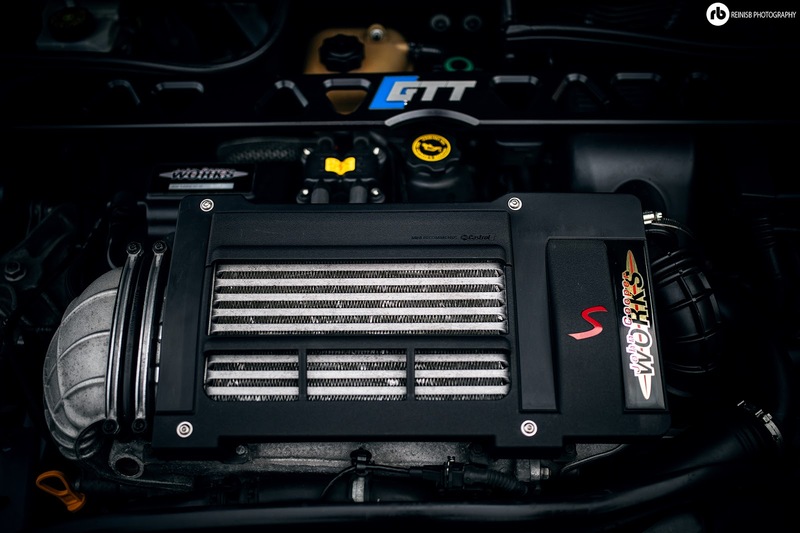 The engineers were able to achieve the higher power band by replacing the regular compressor with an all-new special unit that was designed to operate at higher speeds along with an improved intercooler. 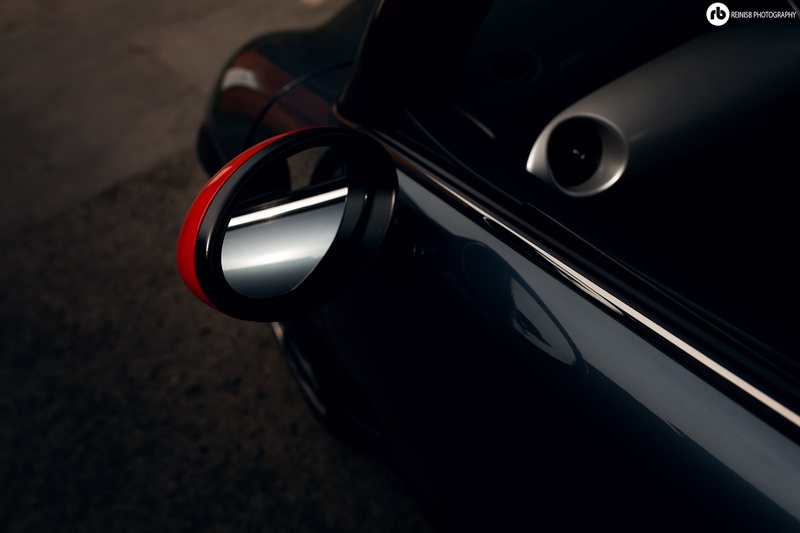 To cope with the extra air intake a new additional intake flap had to be designed to open automatically once the speed reached 4,5k RPM. 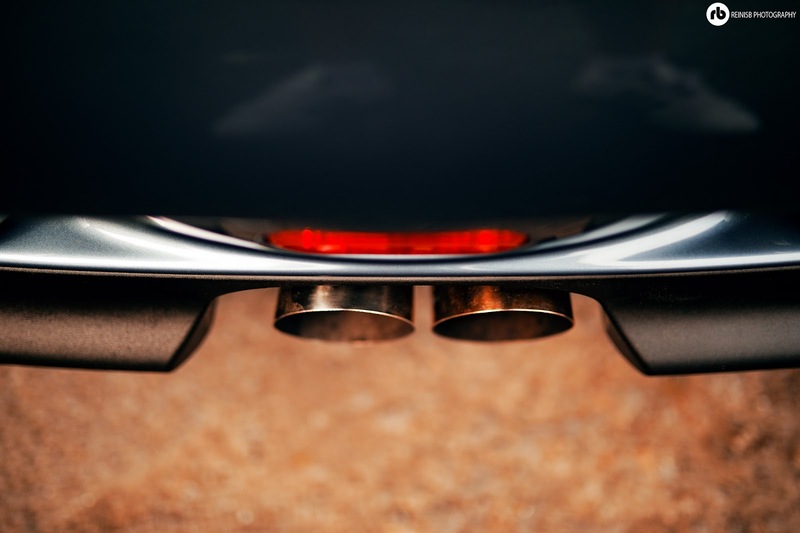 The addition charge pressure optimised the flow conditions in the cylinder head; however, this on the other hand required modification to the outlet ducts. Which in its turn, required alterations to the injection nuzzles to allow more fuel and air mixture to be pumped into the engine; not to mention improved spark plugs and engine management was also required. Oh yes to finish off, a new rear silencer with higher counter pressure was also added. Sounds rather simple doesn’t it? All this for 8hp; no – it was never about the numbers. 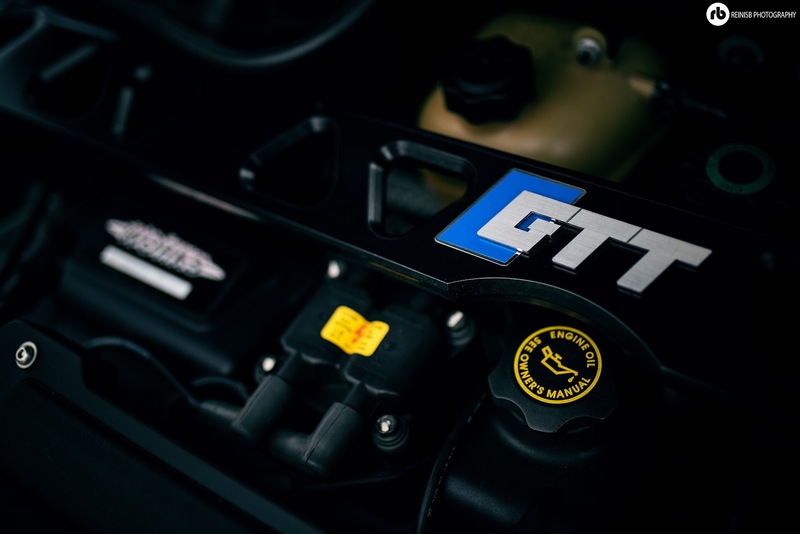 These extra steps resulted in a lot more than just 8hp, the extra power and performance comes in a shape of better throttle response in any RPM range, higher maximum speed, higher torque and above all – it just sounds like a RACE CAR. 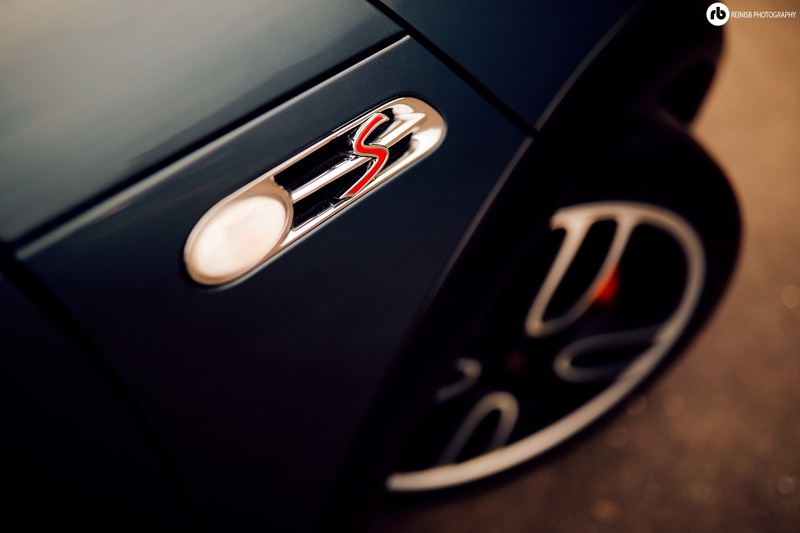 The 1.6 litre supercharged engine produced 218 horsepower at 7,100RPM and 250 Newton-metres of torque at 4,600 RPM. 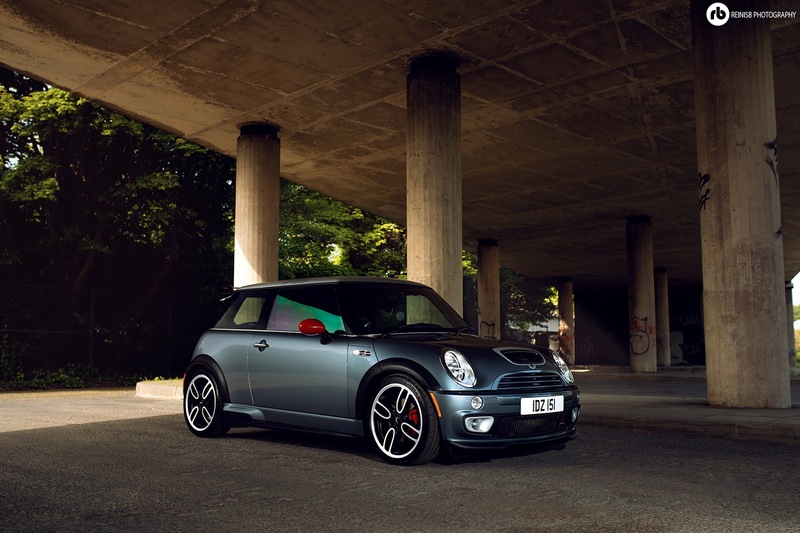 Mini Cooper S JCW GP could run up to 62mph from a standstill in just 6.5 seconds and reach a top speed of 149mph. The little sports hatchback went round the green hell in impressive 8minutes 41 seconds. 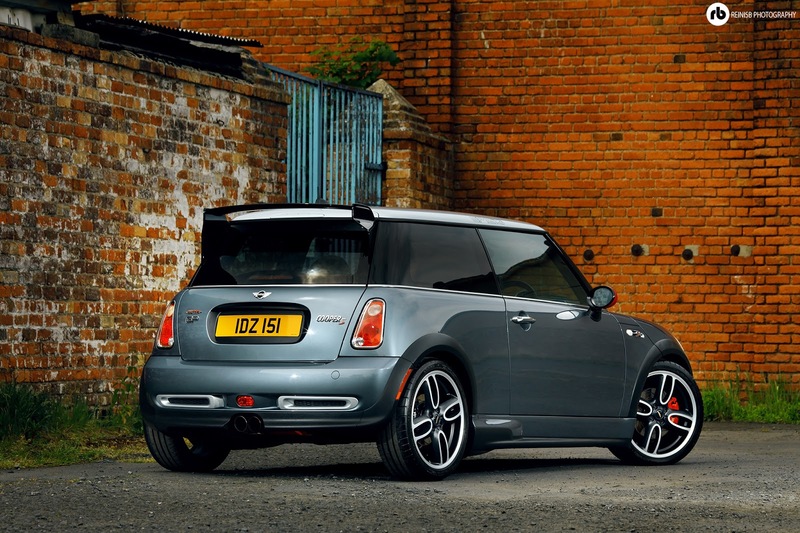 It really is a lively car at any rpm range and is complemented with a glorious twin exhaust system that wants to pop and bang on every throttle lift off. 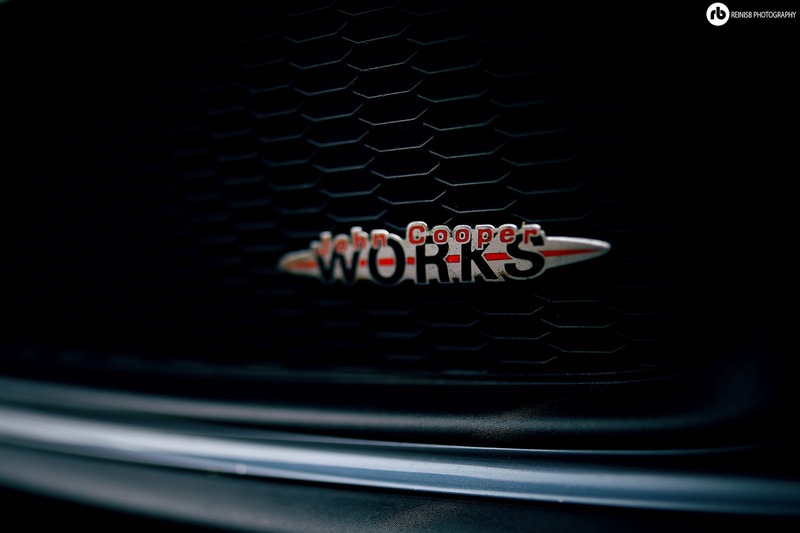 The Mini Cooper S JCW GP came equipped with every driver’s aid possible to mankind - LSD, ACS+T, DCS, ABS, EBD, CBC, too many to list. 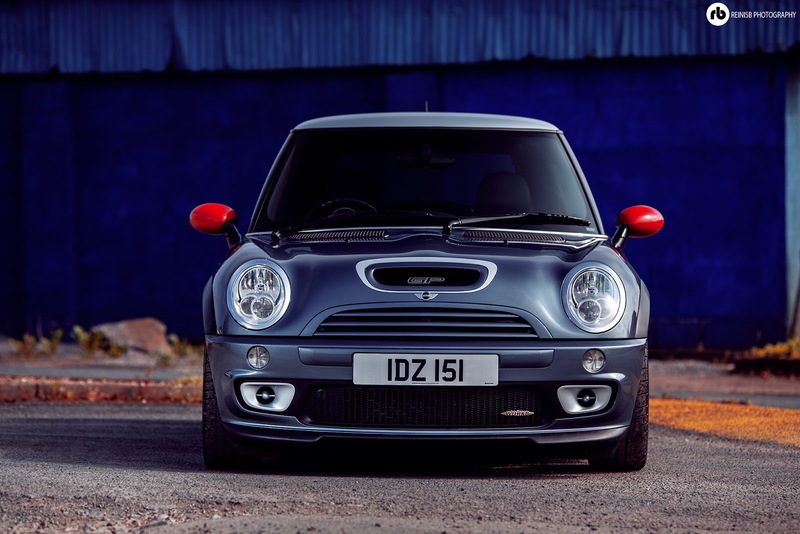 Like every Mini the JCW GP model transferred the powered via the front wheels so LSD (limited-slip differential) was a requirement to ensure the power translated into traction. 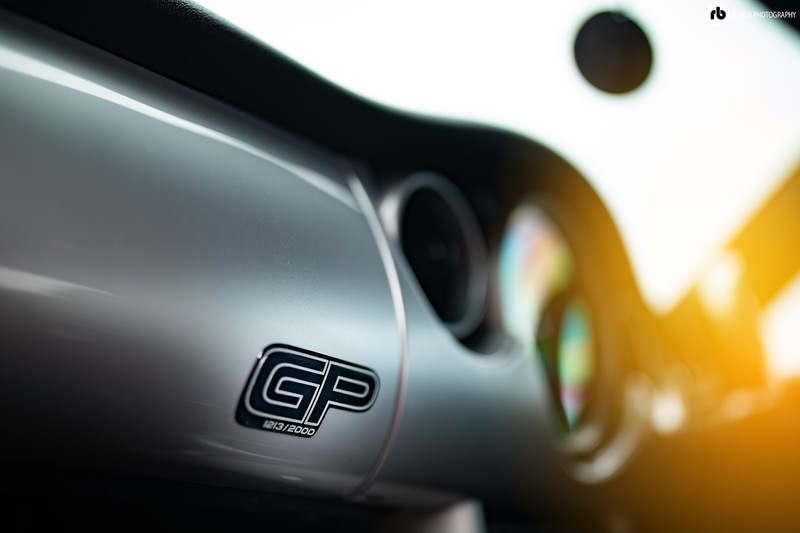 Furthermore, the ASC+T (Automatic stability control) system ensured a smooth straight-ahead acceleration would be possible when the GP may travel across variable surfaces. 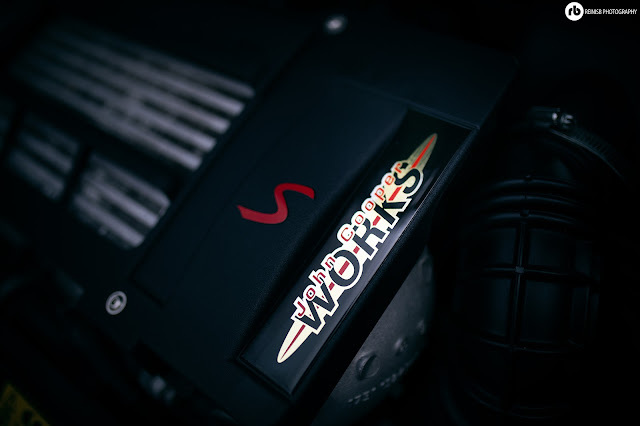 At no extra cost the owners were also able to choose whether to install the DCS system or not. 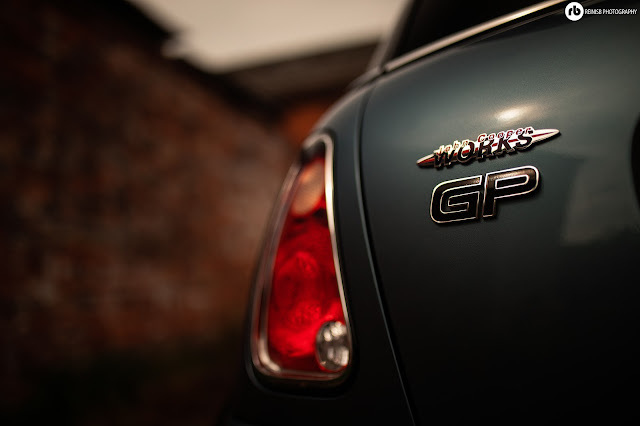 The Dynamic Stability Control system offered extra safety and stability in fast driving environments when the GP was pushed to its boundaries. 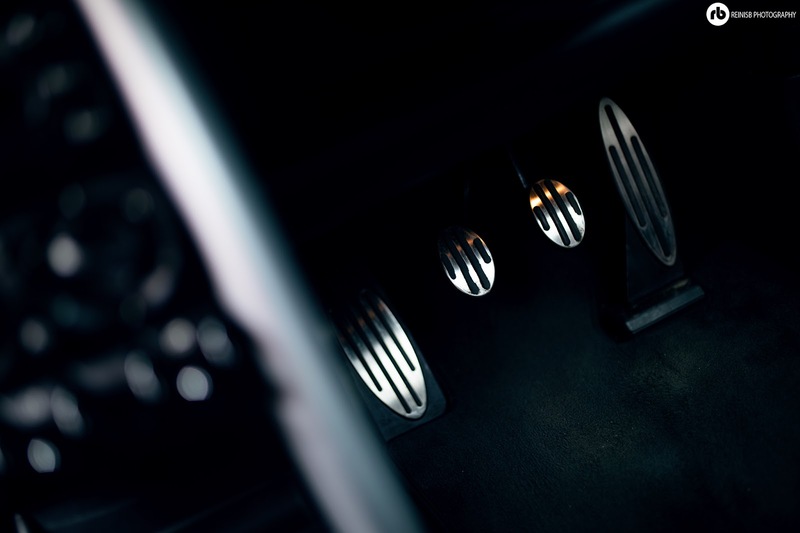 The system registers any excess lateral forces in fast corners and applies brakes to minimise the understeer/oversteer. 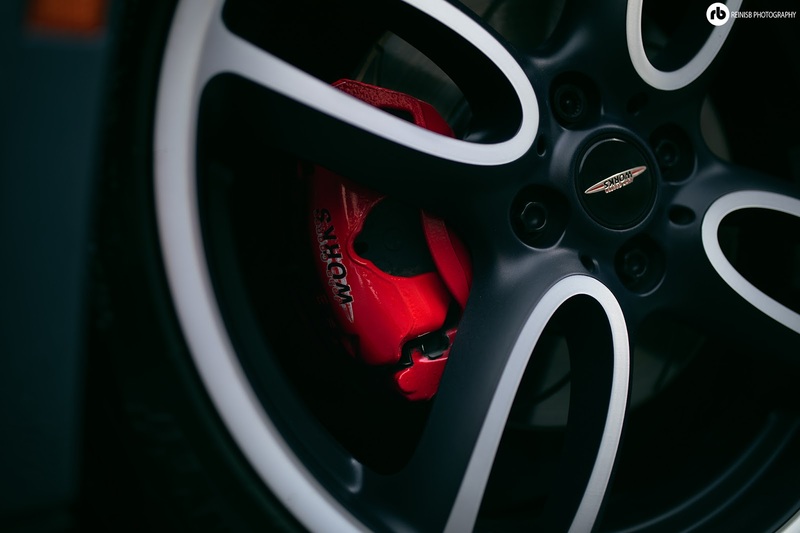 The Mini Cooper S JCW GP came equipped with impressive high performance brake system featuring 16 inch brake discs and offered a superb race-car like stopping power. 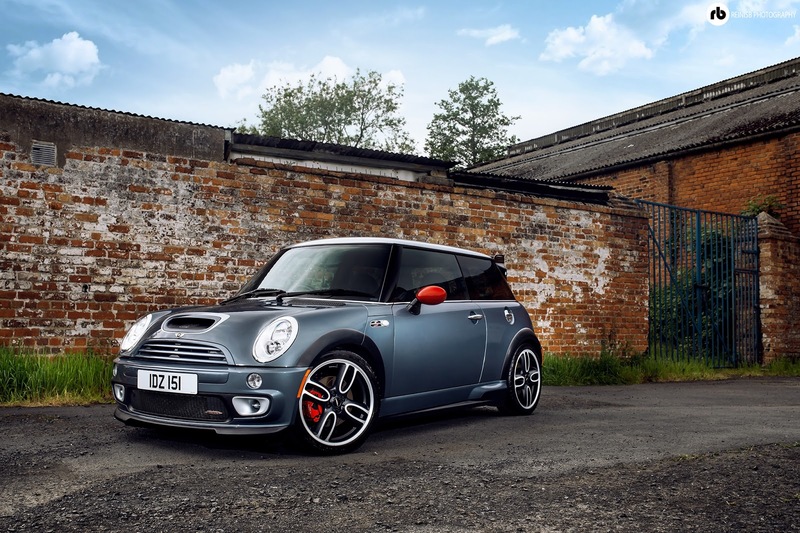 The mini handling is outstanding, nearly go kart like, thanks to its direct steering, sports suspension with the firmer springs and extra strong dampers and coupled with all the driving aids and outstanding brake system make the GP driving experience to be unforgettable. 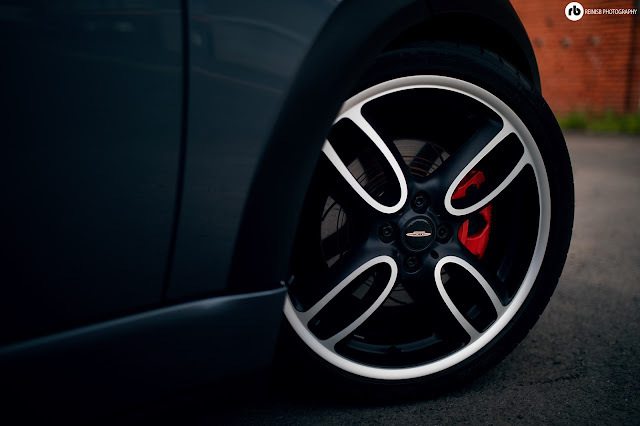 Mini Cooper S JCW GP came equipped with 18 inch light weight alloy wheels developed especially for the Cooper S that were dressed in 205/40 low profile tires with runflat function. 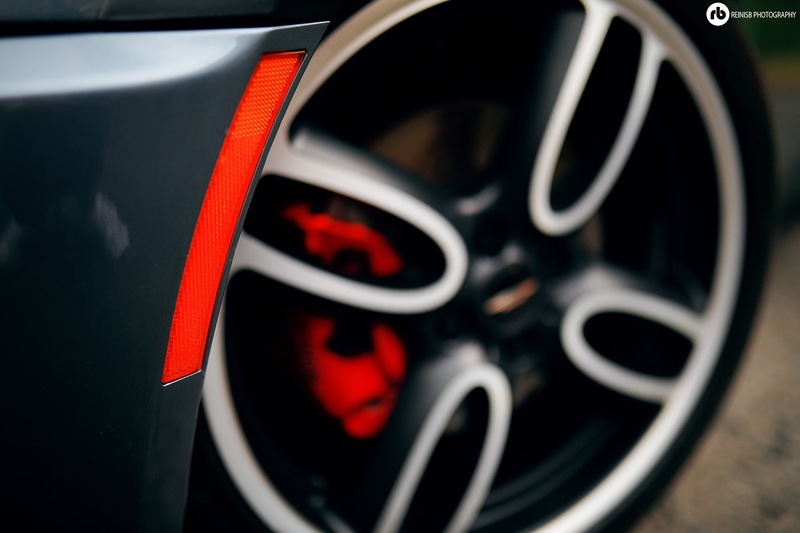 And whilst the alloy wheels look beautiful they also act as giant fans pumping cold air to the brake system. The big wheel set up looks beautiful on the GP. The Mini Cooper S JCW GP just may be the best sports hatchback out there under the 40k price tag “out of the box” if precision and responsiveness are your priorities. 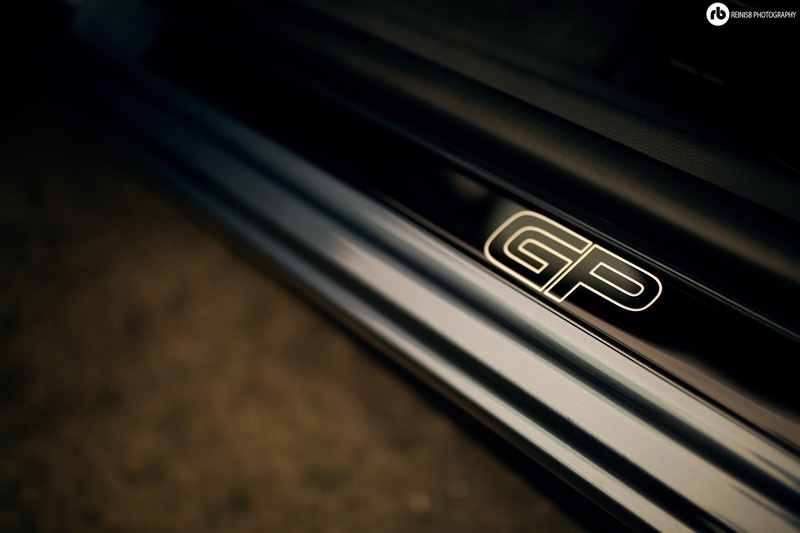 The driving experience of the GP truly resembles that of a race car and with the limited production ran it sure as hell will only raise in value and will become a future classic, so if you do have the itch of owning one in your life, scratch that itch now, as soon I believe this car will be out of budget for most of us. 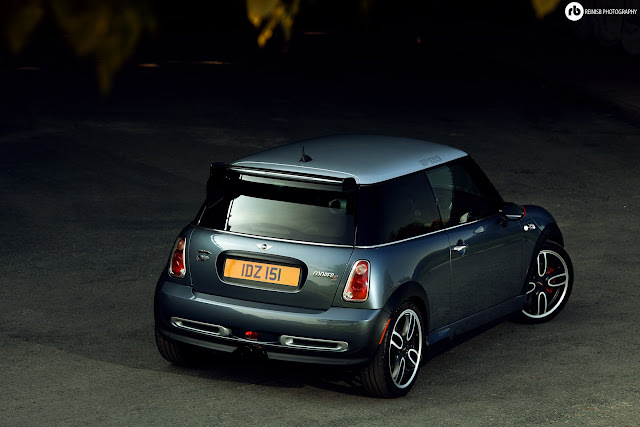 What a beautiful car this really is.